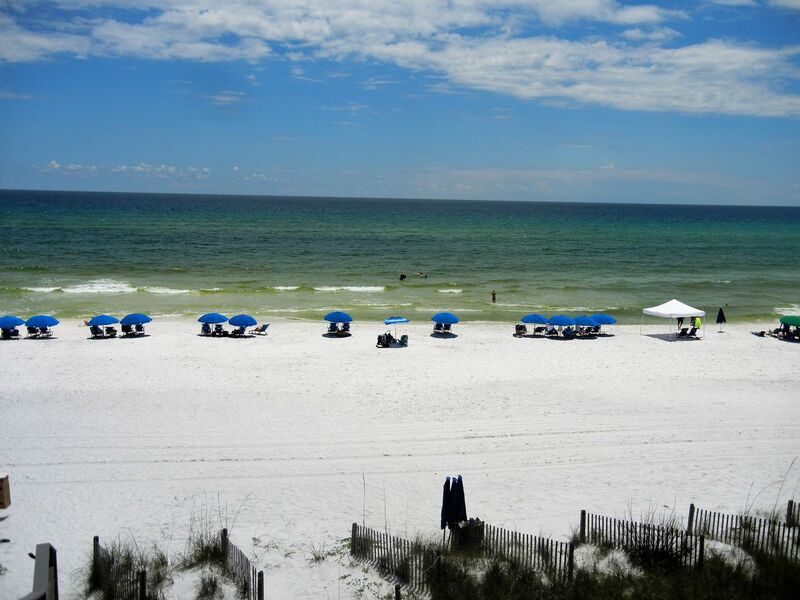 Gulf views from open balconies, private beach access, newly remodeled and ONLY A 5 MINUTE BIKE RIDE TO SEASIDE…what a great place to spend a vacation! 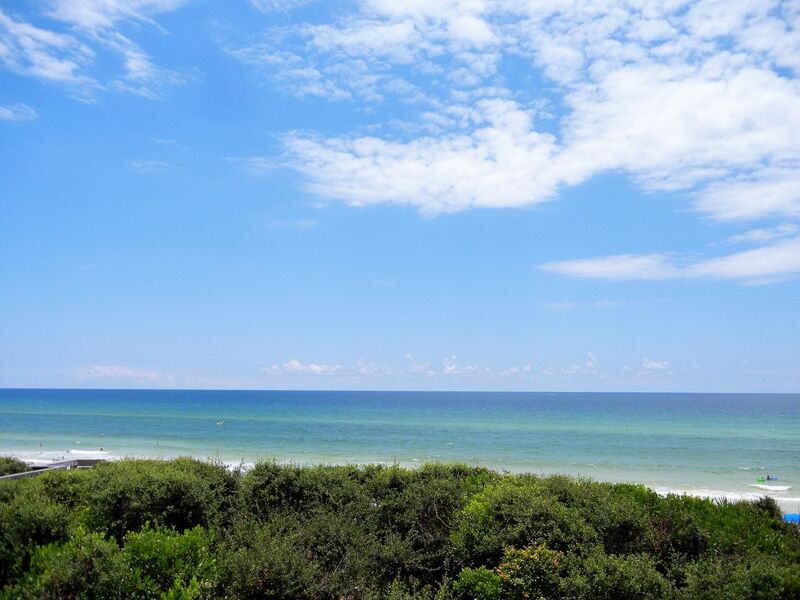 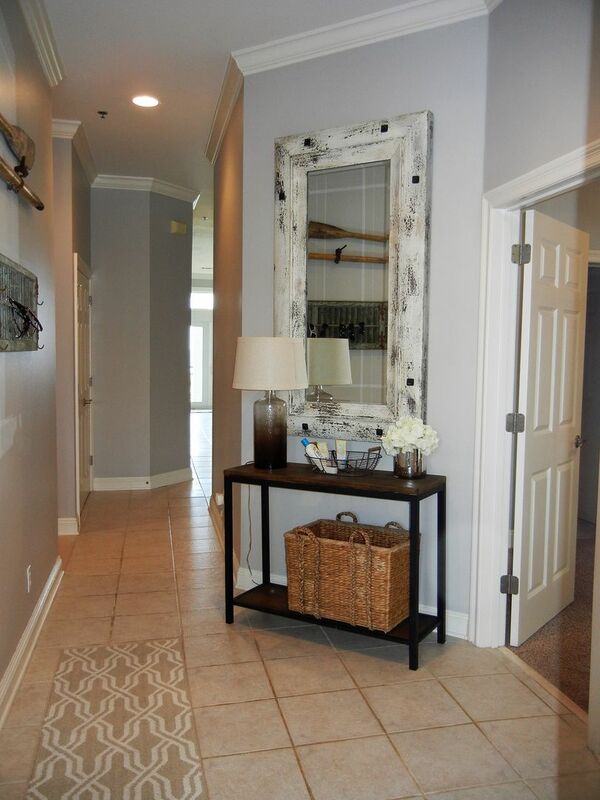 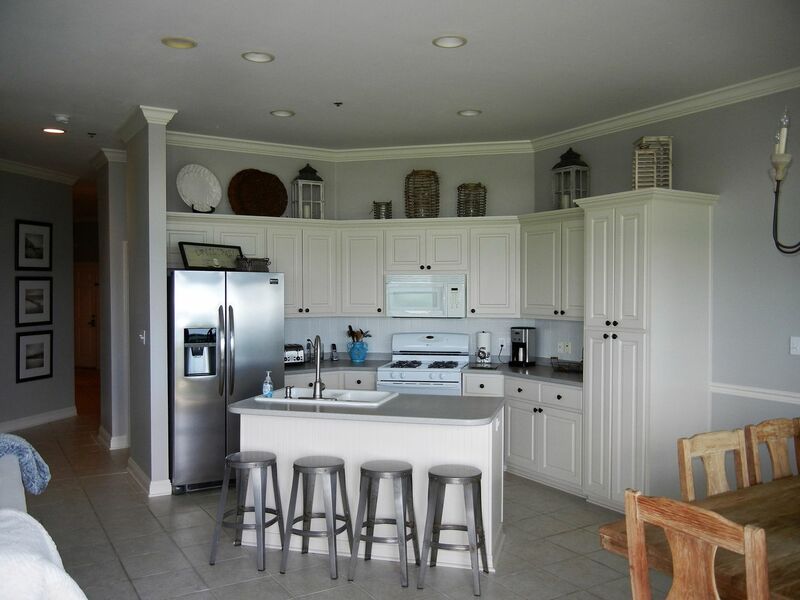 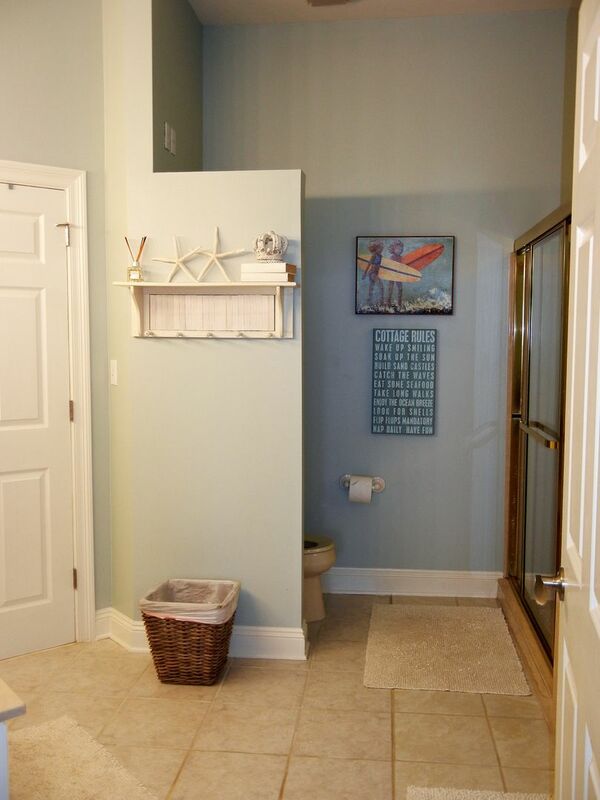 Be one of the first to rent this newly listed private home in the highly desired Seagrove Beach. 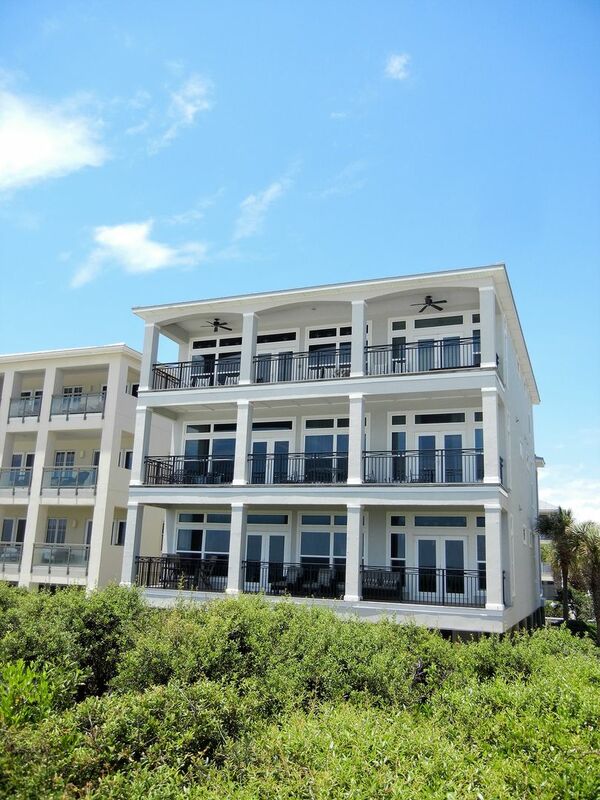 Located on County Road 30a, “Camelot” is centrally located to some of the best beaches, shopping and dining located along the Gulf Coast. 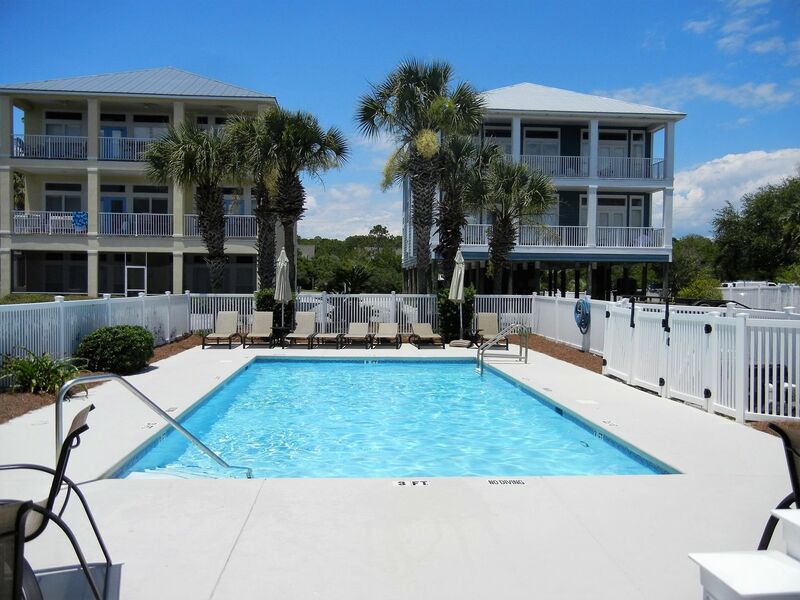 Enjoy some of the best shopping the Gulf Coast has to offer with only a short drive to the Destin Commons, Silver Sands Outlet mall and Pier Park. 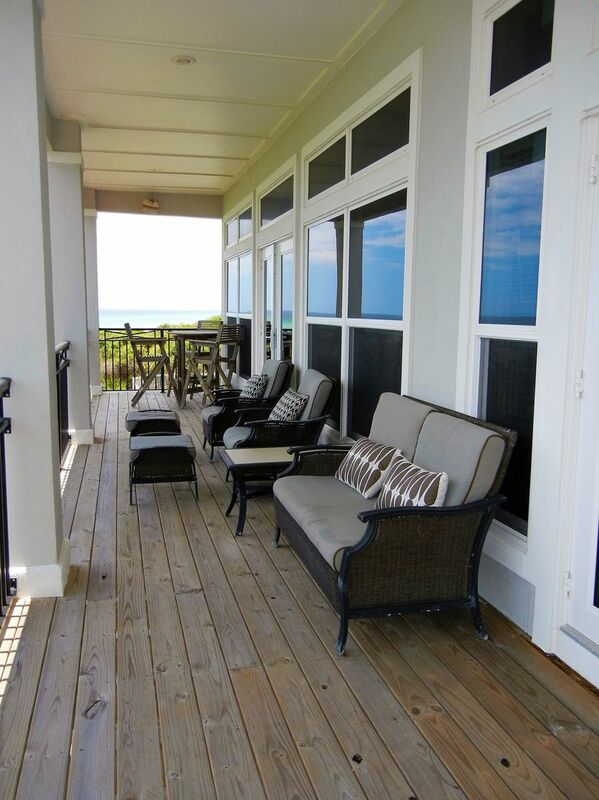 World class dining is only a short walk from this beach house along 30A. 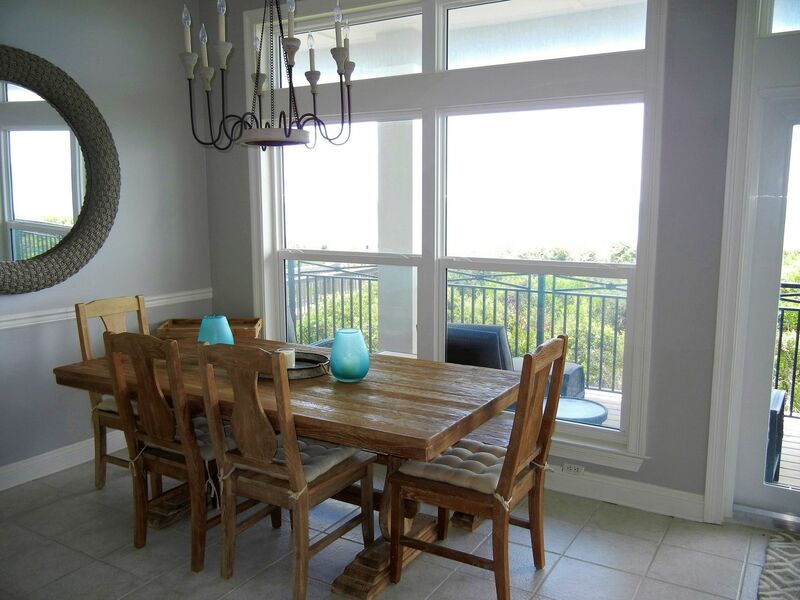 Within minutes you can be to the fine dining establishments at Rosemary Beach, Seaside and WaterColor. 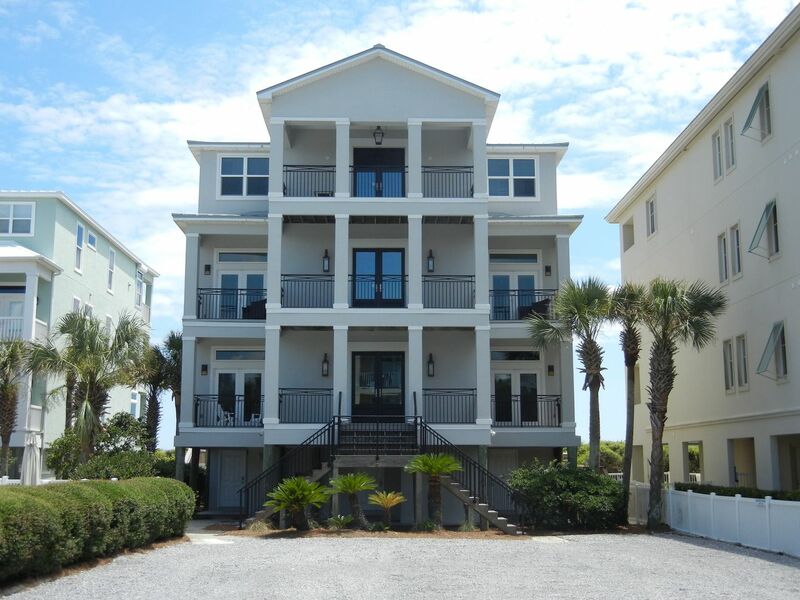 This private beach condo is perfect for several small families or a large family with sleeping arrangements for up to 10. 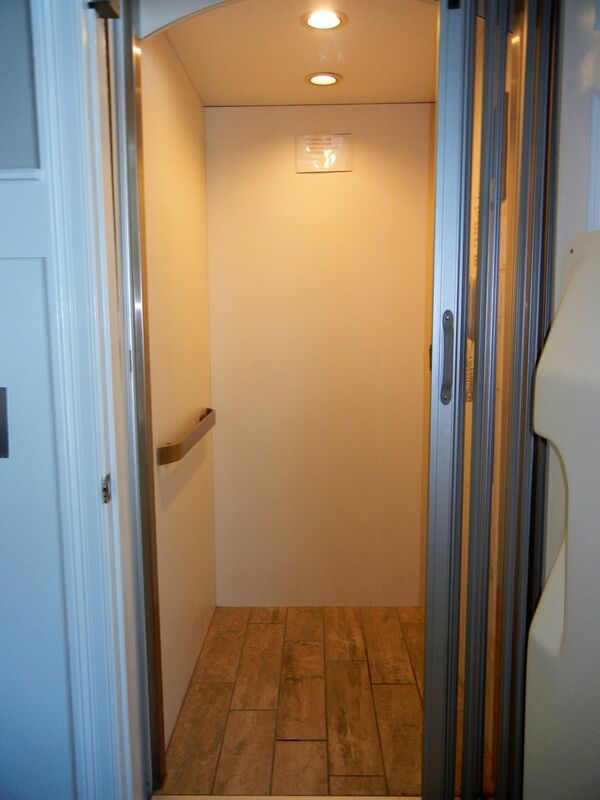 No need to worry about trekking luggage up stairs, as this condo comes equipped with a private elevator! 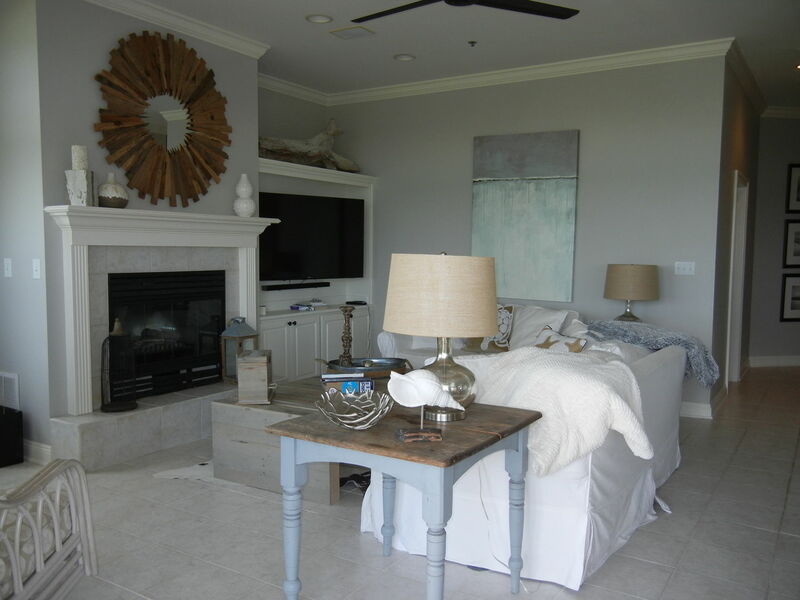 The living space has an open floor plan, expansive deck and views of the Gulf. 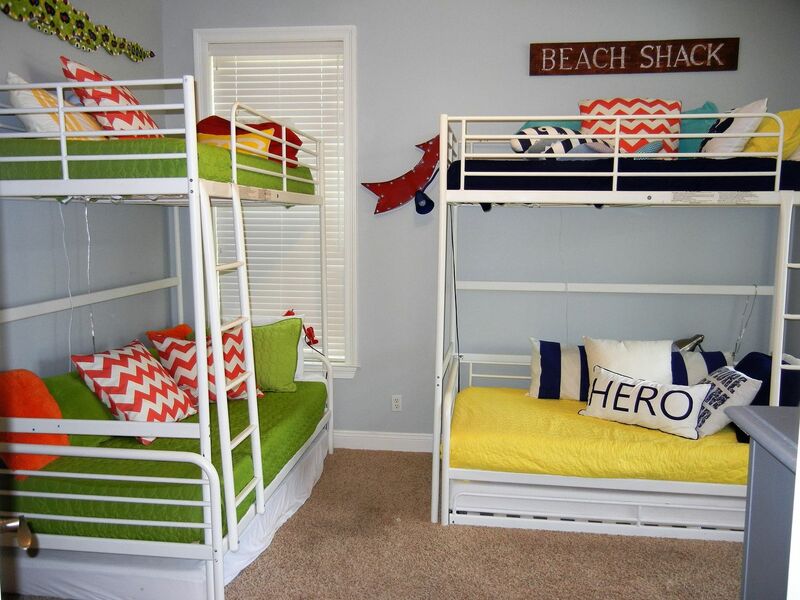 The bunk room is a children's sanctuary filled with bean bags, fluffy pillows and board games to last for days. 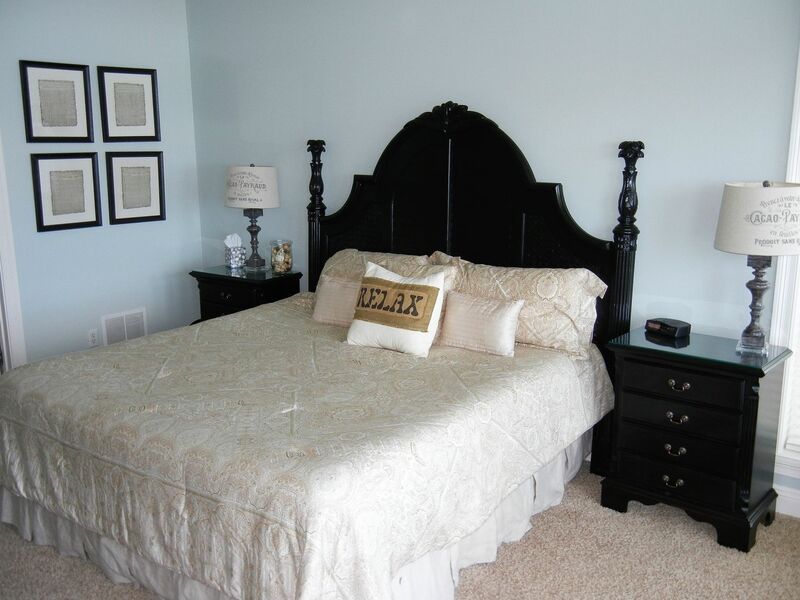 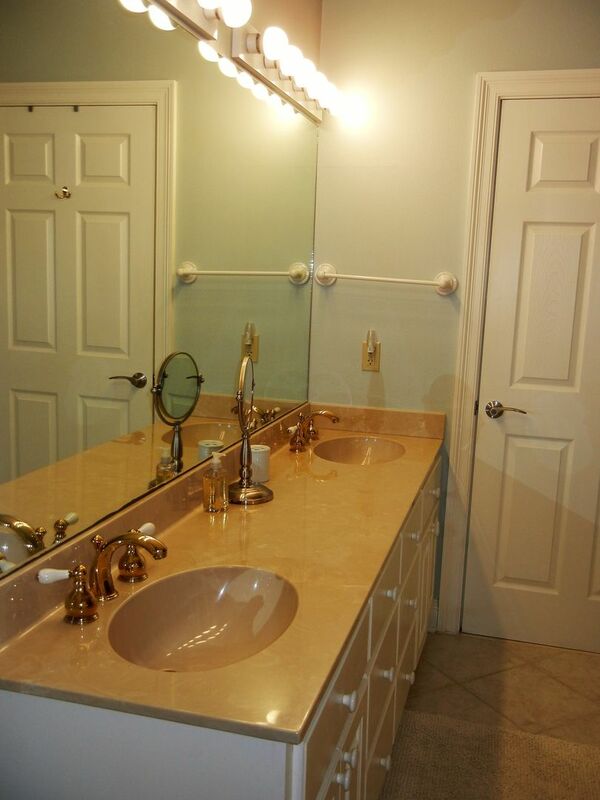 Attached to the Jack-and-Jill bath is a newly decorated Queen bedroom with comfortable furniture and ample storage. 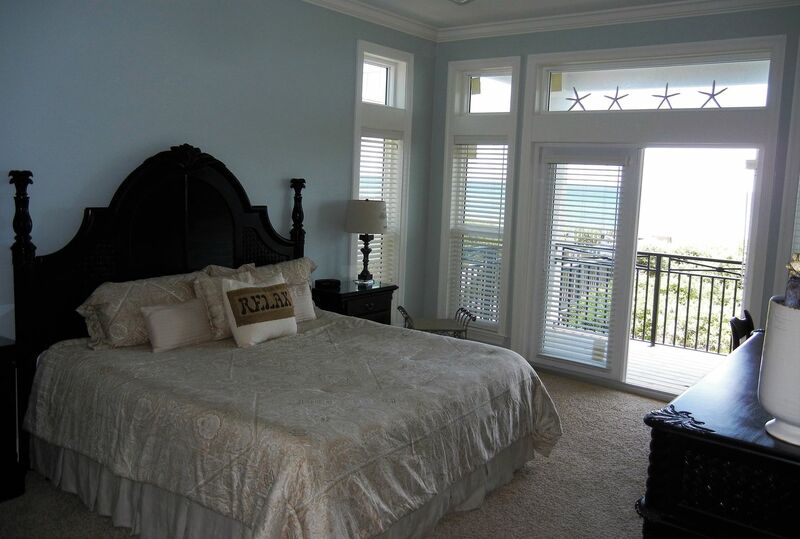 The first master bedroom has a Queen bed, attached full bath and a private patio with lounge chairs overlooking the pool. 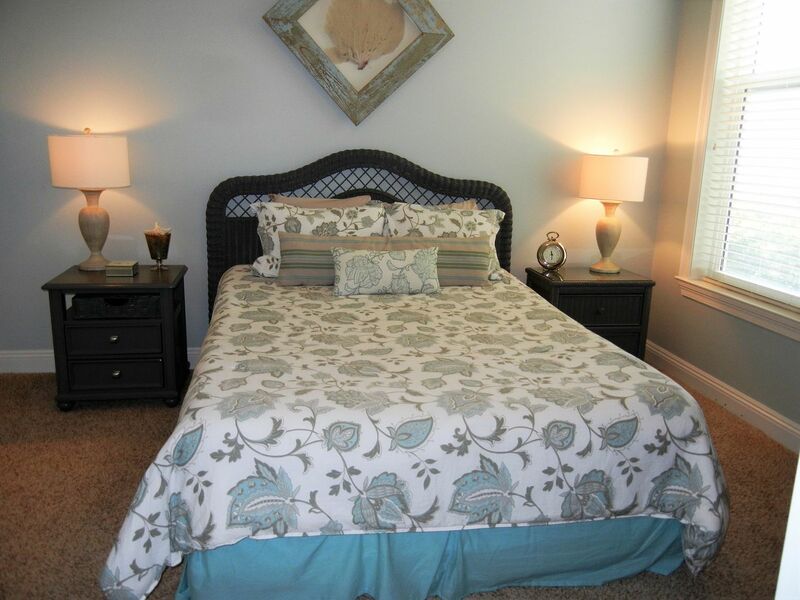 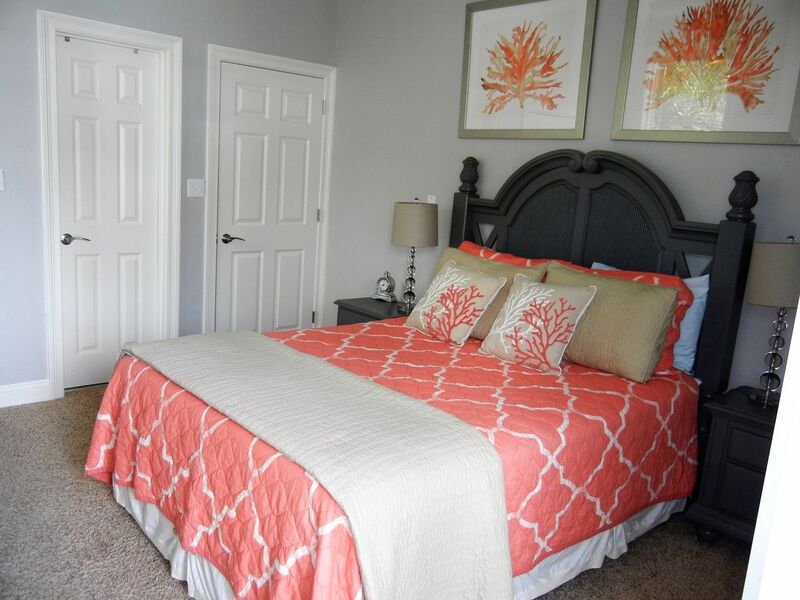 The second master bedroom has a King bed, attached master bath with stand up shower, jetted tub and large walk-in closet. 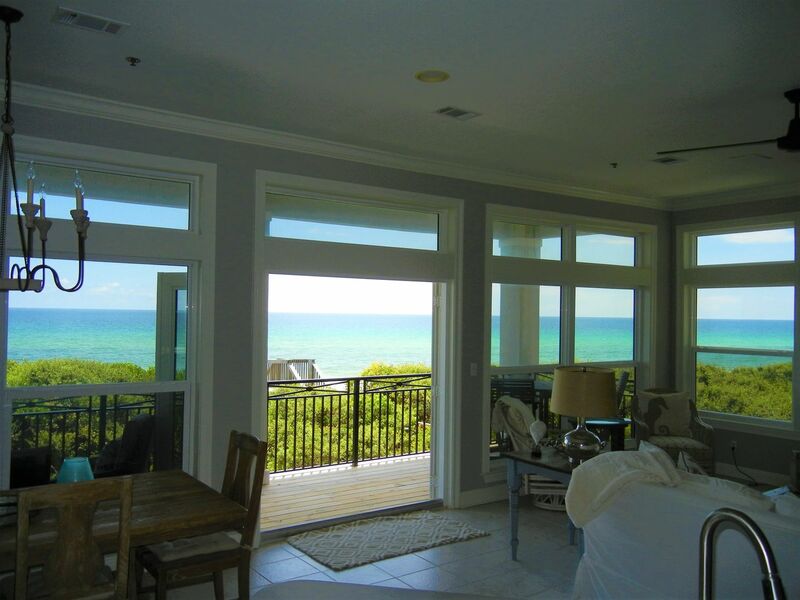 Floor to ceiling french doors open to a private balcony with amazing views of the Gulf of Mexico. 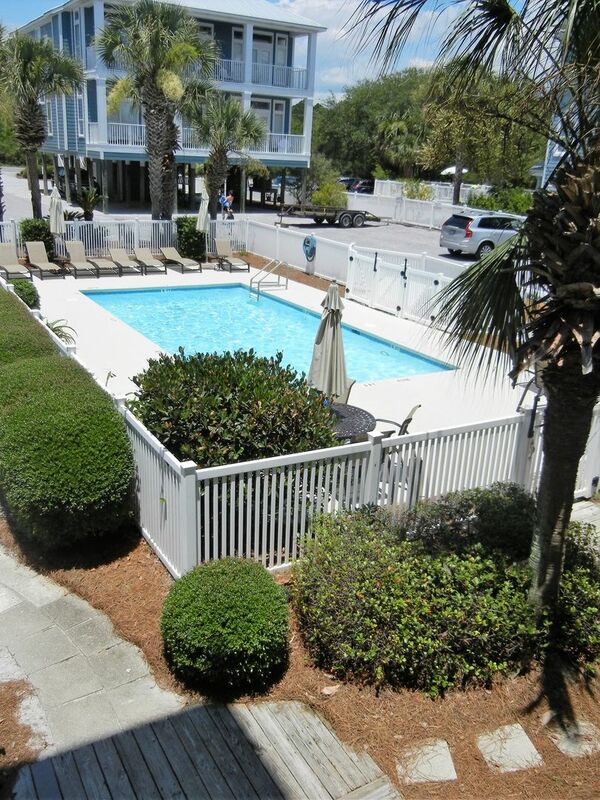 “Camelot” has all of the amenities to make for a perfect vacation. 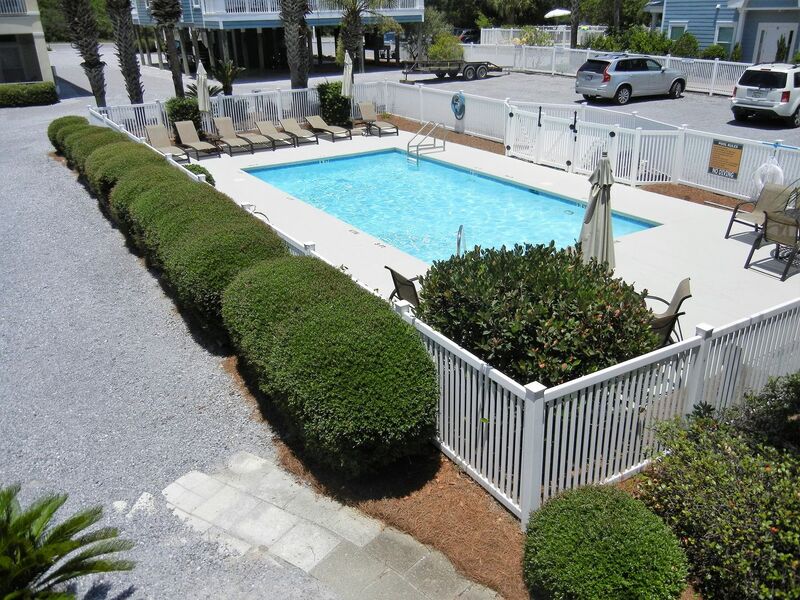 A large communal pool located within the gated yard allows for hours of relaxation time. 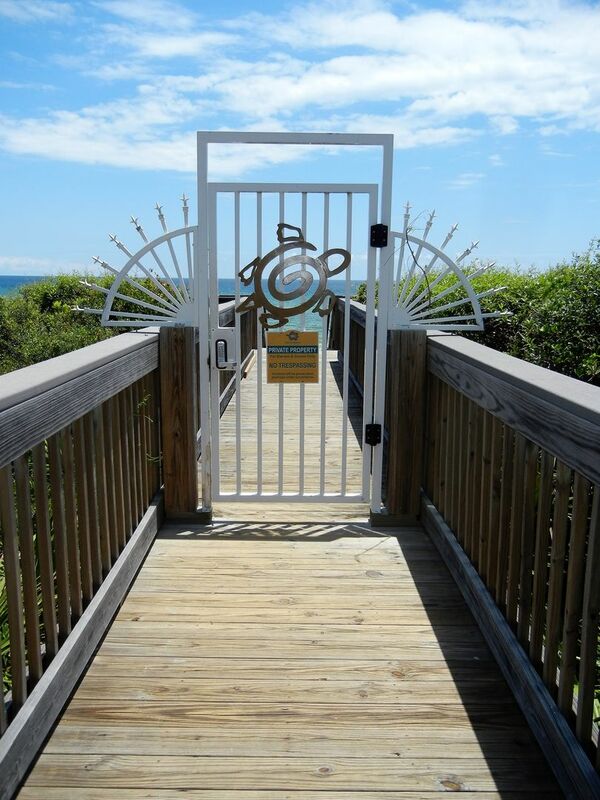 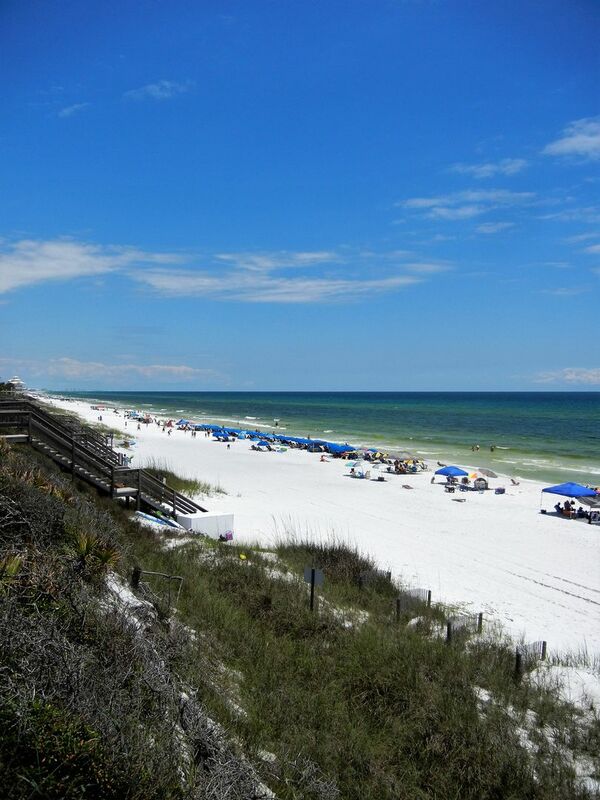 For the beach goers, a private beach entrance allows for easy access to the white sands of the Gulf. 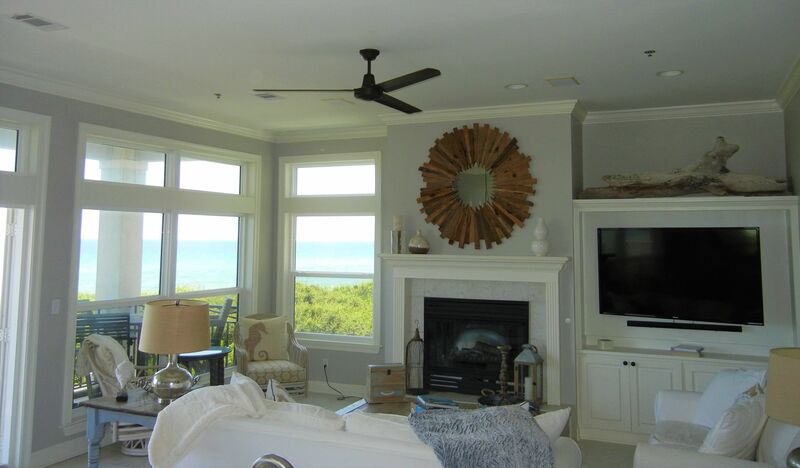 The large open floor plan with over-sized windows provide unobstructed views to the Gulf. 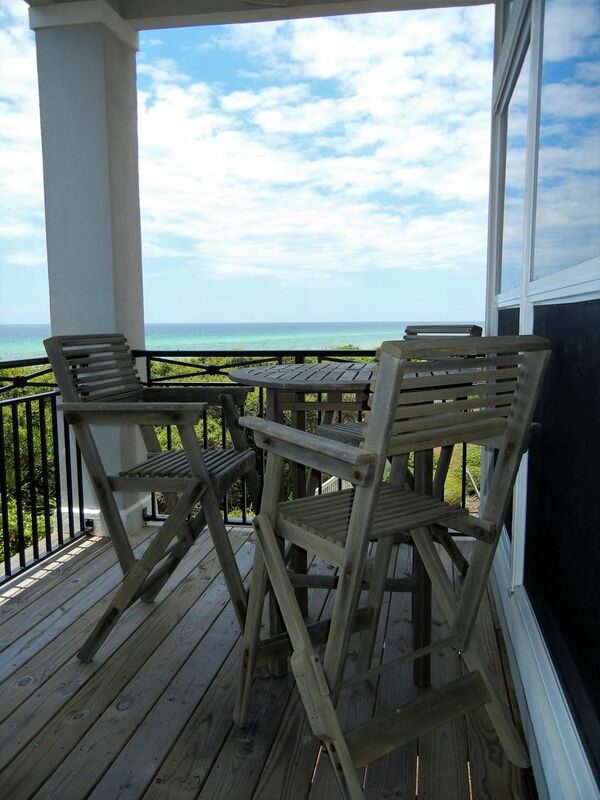 The bunk room and both master bedrooms offer a private balcony for enjoyingy the views that only the Emerald Coast can offer. 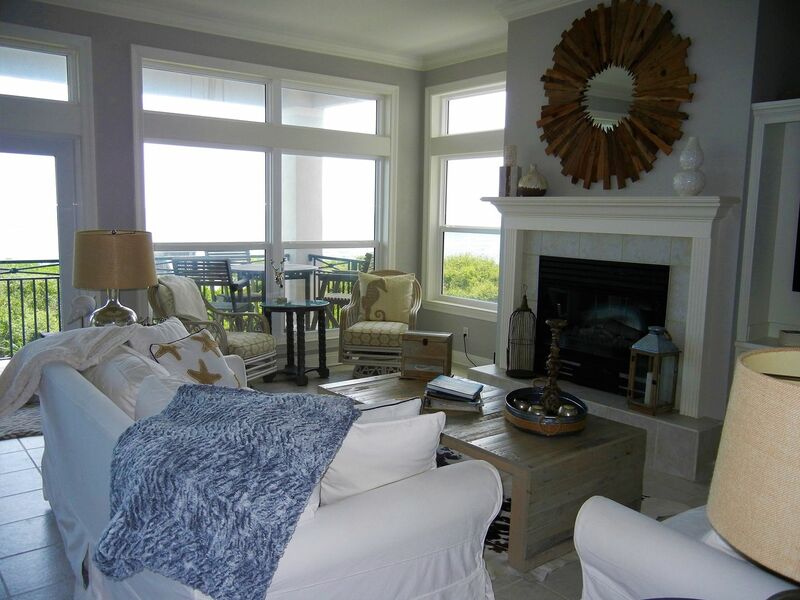 “Camelot” will bring lasting memories - rent this home before it fills up for peak season!